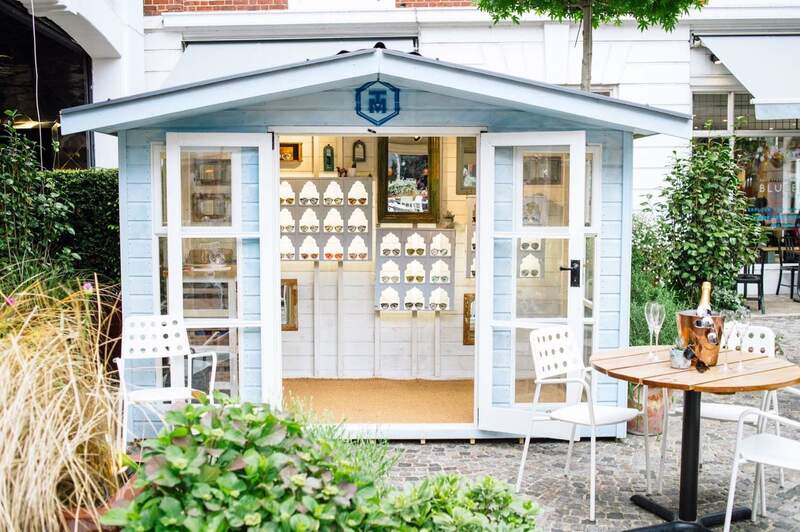 Storage made beautiful with one of our most popular garden shed designs. 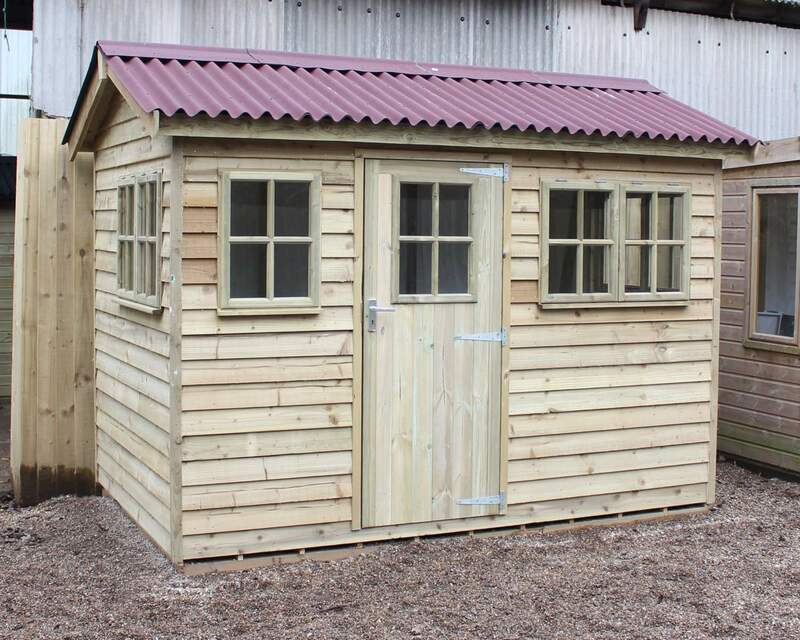 This pretty wooden garden shed features 2 large windows and window boxes for your favourite flowers. Storage has never been so pretty! 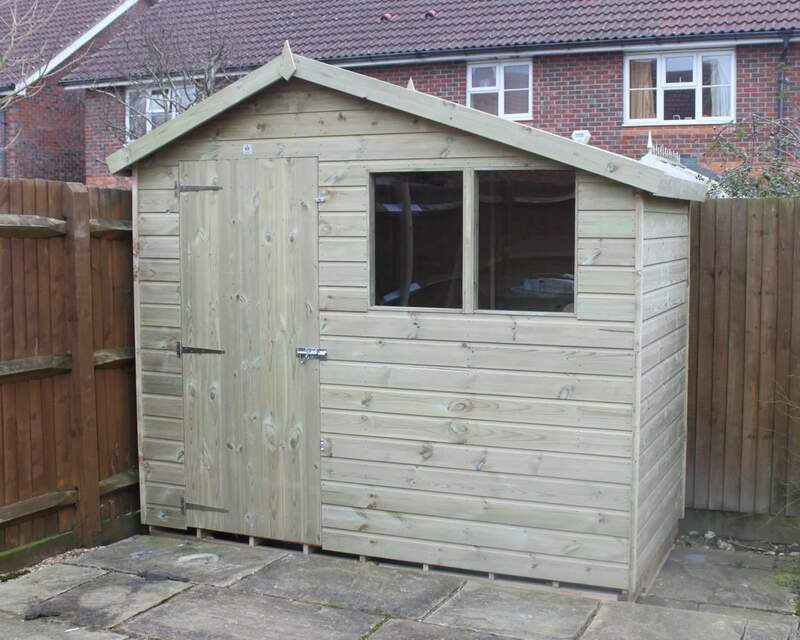 The Guildford garden shed is made from high quality Pressure Treated Red Wood Tongue and Groove cladding. 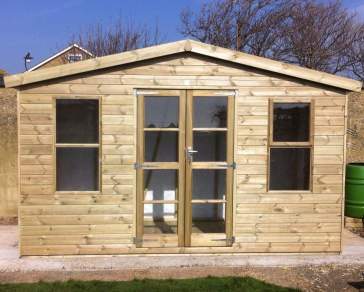 Standard framing are 47mm x 35mm Pressure Treated battens with diagonal supports for strength and stability, The floor is made from 12mm Tongue & Groove boarding. The floor has runners (50mm x 25mm Pressure Treated battens) spaced approximately 1' apart to give adequate air flow. 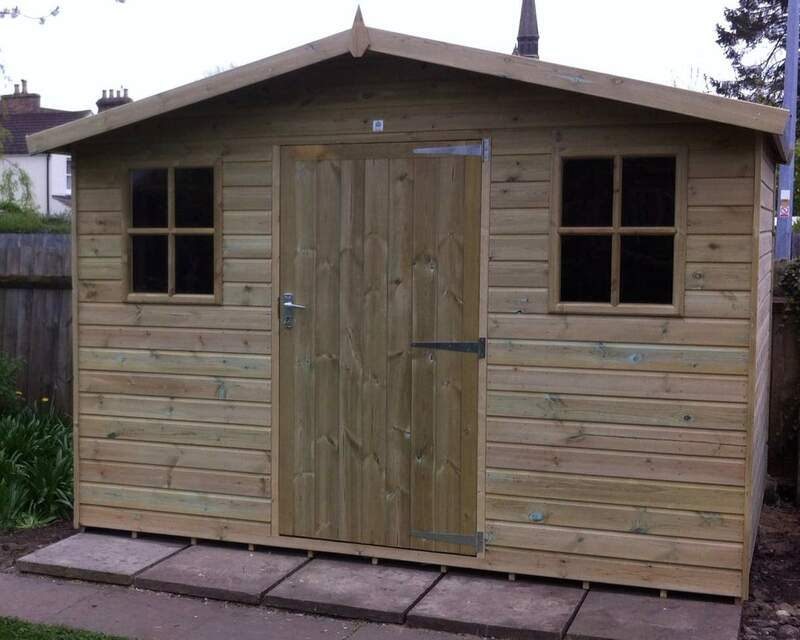 The Roof has main and Intermediate beams for roof strength, 12mm Tongue & Groove boards and is overlaid with a good quality green mineral felt.